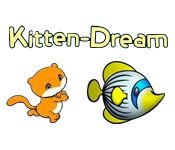 Catch as many fish as you can in this Kitten Dream! 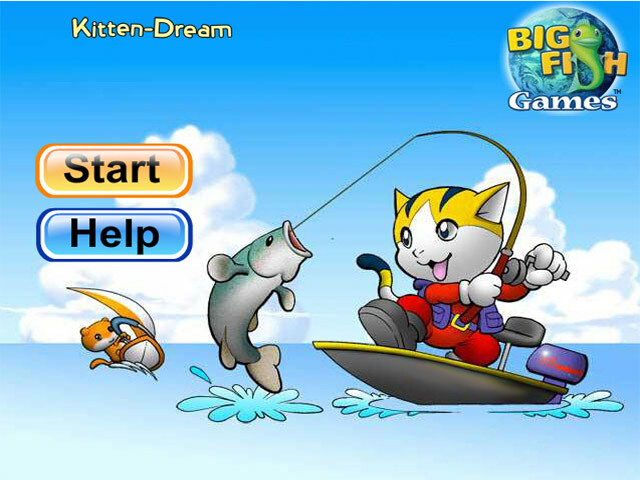 Use your fishing pole to catch as many fish as you can!Catch fish in this Kitten Dream!Catch as many fish as you can in this Kitten Dream! 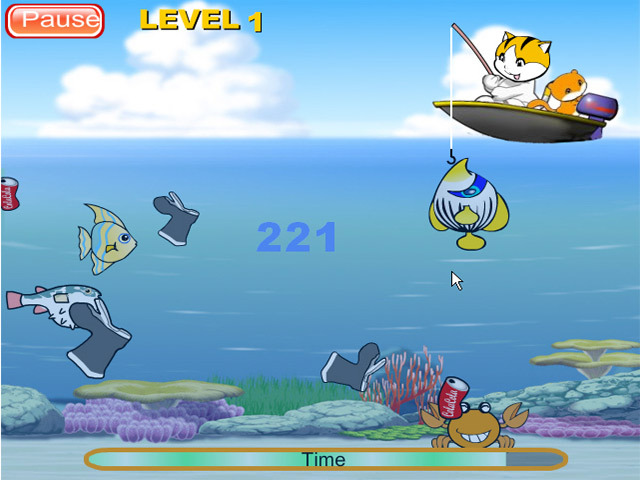 Row your boat out into the ocean, and use your fishing pole to catch as many fish as you can! Avoid the garbage and the evil seagulls flying overhead. 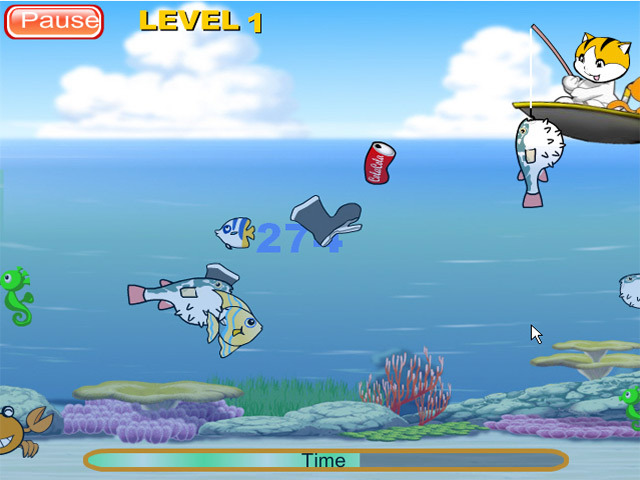 How many points can you score in this fun Arcade game?